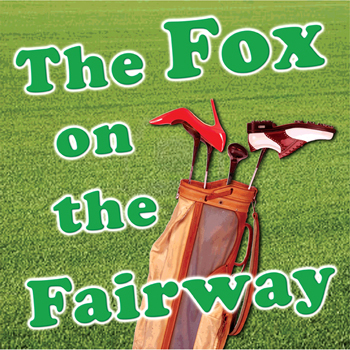 Actors' Playhouse opened its production of Ken Ludwig's The Fox on the Fairway on May 10, 2013. ...a charming screwball adventure about love, life, and man's eternal love affair with ... golf. Written by Ken Ludwig (Lend Me a Tenor, Moon Over Buffalo), the author hits a hole-in-one with his tribute to the great English farces of the 1930s and 1940s. Two rival country clubs, Quail Valley and Crouching Squirrel, prepare for their annual grudge match. A massive private wager is made between the two CEOs just before the best player switches teams. Filled with mistaken romance, dreadful attire, emotional mulligans and silly shenanigans, The Fox On The Fairway is a “tour-de-course” of rapid-fire chip shots and frenzied miscommunications. David Arisco directed a cast that featured Ken Clement, Clay Cartland, Betsy Graver, Todd Allen Durkin, Margot Moreland, and Amy McKenna. Playwright Ken Ludwig fashioned his play The Fox on the Fairway after high comedies of the 1930s and 40s — you know, Noel Coward’s Blithe Spirit, Kaufman and Hart’s You Can’t Take It With You. And while shades of the Aldwych farces set the tone of the production now at Actors’ Playhouse, The Fox on the Fairway plays more like a 1970s sitcom. Under David Arisco’s smart direction and the assemblage of a can’t-miss cast, Actors’ Playhouse has found a way to outfox this sometimes dimwitted homage. Durkin is absolutely dastardly as Dickie, stealing every scene he’s in with his mixed-up metaphors and a slippery tongue that seems to have a life of its own... The actor also has the unmitigated pleasure of wearing some of the most hideous golf sweaters and loud golf pants ever to see the light of day (three cheers to costume designer Ellis Tillman for these gets ups and all of the delightful and spot-on costuming in Fox). Cartland plays Justin to comedic crescendo... incredible feats of physical comedy, crashing through doors, falling over couches and dialing a phone with his arm hoisted in a sling. Amy McKenna is absolutely fetching as the over-sexed Pamela Peabody, a member of Quail Valley, and Dickie Bell’s former wife. Margot Moreland is the icing on the over-the-top cake as Muriel, the oppressive wife of Bingham and owner of Ye Olde Crock antiques store. Moreland’s comic timing, especially during her surprise entrance, is priceless. Arisco and Actors’ Playhouse have taken on a challenge with The Fox on the Fairway... Ludwig calls for the cast to create Herculean feats of Marx Brothers mayhem... but Arisco, the cast and the production team are not only up for the task, they rise to the occasion. Imagine an episode of racy Three’s Company in which Jack Tripper gets conned by Mr. Roper to masquerade as a golfer to win a bet, with ditzy roommate Chrissy Snow adding complications through a series of misunderstandings and pratfalls. What works on a 30-minute farcical TV sitcom needs to be performed to near perfection, with crisp direction, to succeed as a two-act, two-hour live stage production. Fortunately, Actors’ Playhouse’s presentation features some standout talent on stage and off who give it their all — sometimes, too much of their all — so that Fox on the Fairway, for its few water traps, ultimately sends its audience home amused and entertained. Arisco... gets the most out of Gene Seyffer’s attractively appropriate lounge set of woodwork, French doors and lobby furniture, upon which the cast races about. Alexander Herrin’s smart sound design makes the off-stage golf tournament come to life through clever panning of audio effects. 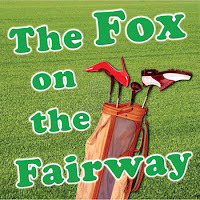 Actors' Playhouse presents The Fox on the Fairway at the Miracle Theater through June 2, 2013.